Like a fighter jet on a suicide mission, Detroit-based rap megastar Eminem dropped out of the blue on August 31 with Kamikaze, an assault on what seems like the entire rap scene. 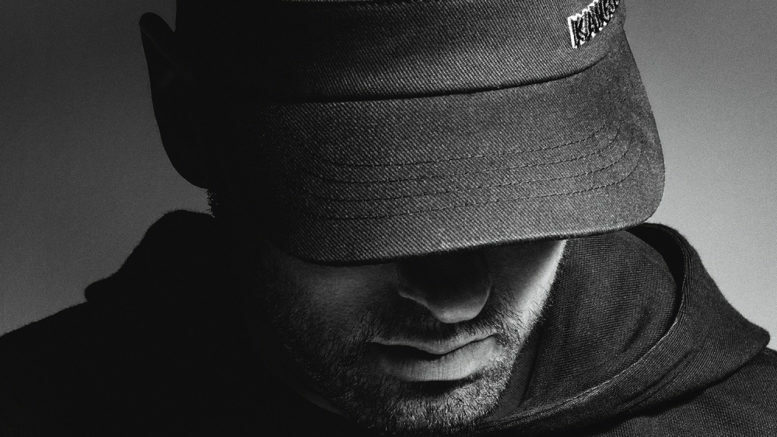 Motivated by his bitter resentment at the failure of his previous 2017 album Revival to go viral, Eminem’s continued anger reverberates throughout the tracks. It’s clear Eminem’s objective for the album is to antagonize successful rap artists who he seems to be threatened by in the evolving rap game. He takes this antipathy a step further by outright criticizing other artists’ unique styles to an unprecedented nature. Taking it even further, Eminem even has the audacity to mock the bars of other rappers, most notably turning popular rhythms from Kendrick Lamar and Lil Pump against them to deride them on their own flows. The first track “The Ringer” personifies this with lines such as “Lil Pump, Lil Xan imitate Lil Wayne / I should aim at everybody in the game, pick a name.” The fast but choppy triplets combined with rapid verbal barrages make for an engaging listen despite their underlying meaning which overshadows the lyrical appeal. Almost immediately following these tracks, in “Lucky You,” he criticizes the originality of widely-acclaimed rapper Drake: “You got a couple of ghost rappers, but to these kids it don’t actually matter,” referring to how Drake’s lyrics are largely not his own. Eminem also expresses distaste for the subgenre “mumble rap” throughout the album, including with his parody of Migos’s “Bad and Boujee” in “Not Alike,” and lines such as “songs about nothin’ and mumble” from “Lucky You.” Eminem’s lyricism displays how he views mumble rap as a culture shock starkly different and inferior from the introspective and emotional lyrical rap he’s written his entire life. Eminem’s angry and violent tirade doesn’t stop at his criticism of others as he transfers his emotion into defending his own reputation. In “Greatest,” Eminem affirms his stature as the best-selling musical artist of the 2000s, incessantly referring to himself as “the greatest in the world” and “the best to ever do it.” Eminem is certainly in the running for such a title as one of the most accomplished and successful hip hop artists in music history, opening an entire genre of music that was traditionally dominated by African Americans to greater diversity. However, he comes off more egotistical than accomplished or proud. Eminem angrily replies in “Em Calls Paul – Skit,” attacking individuals criticizing his rhyming technique on social media. The skits solidify Eminem’s conviction that he won’t let anyone tell him what to do and is his own individual. Listeners receive a temporary reprieve from the vehement temper tantrums with “Stepping Stone,” a message to the rap group Eminem originated from, D12, or Dirty Dozen. In this upbeat and mellow confessional track, Eminem conveys his regret and guilt for using the group as a catalyst for his own fame and leaving his group members behind, but still he clearly harbors resentment about being the only one carrying their careers. His genuine feelings of remorse and contrition help bring a more personal touch to the album and counteract the negativity that pervades the rest of the record. He uses the song as a final goodbye to the group that nonetheless holds a special place in his heart, creating a sense of catharsis in listeners. Kamikaze is an impassioned but controversial album, once again relying on shock value and the carefree persona that made Eminem famous to attract awareness and praise. In an attempt to reiterate his identity as an artist, Eminem uses macabre images of violence and vengeance against rappers and critics who dare to shortchange him. While the album’s verse and rhythm are captivating, its message indicates Eminem is nearing rock bottom in his career. Be the first to comment on "Eminem Fires Shots at Drake and Migos in New Album"